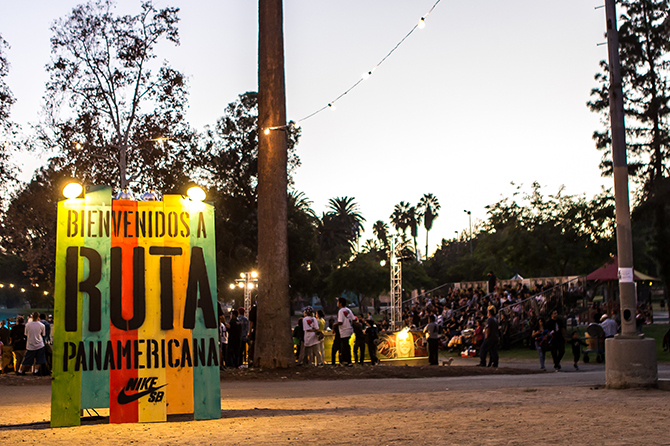 Nike launched a unique and never before seen brand experience in the Pan-American markets, elevating skateboarding from an activity to a sport rich with culture. 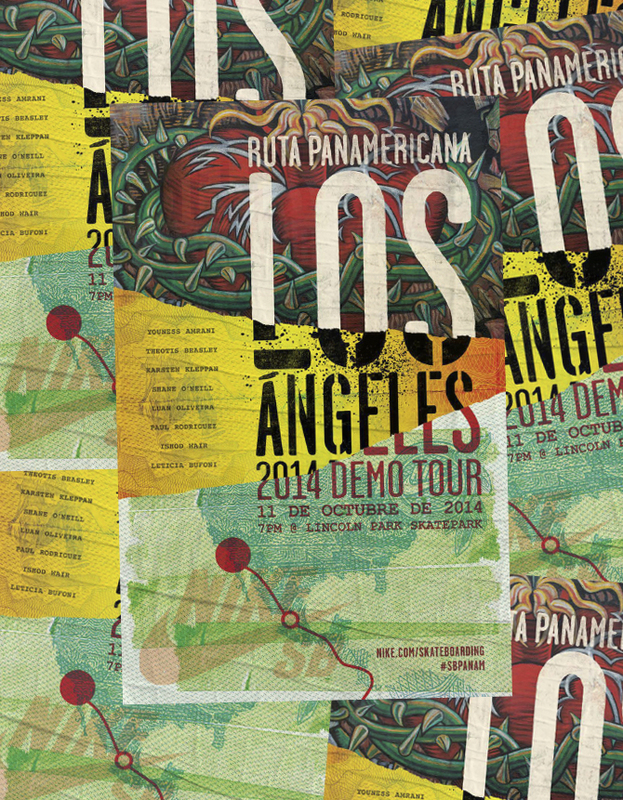 The Ruta Panamericana Demo Tour traveled to 5 cities including Sao Paulo, Mexico City, Lima, Buenos Aires and Los Angeles. 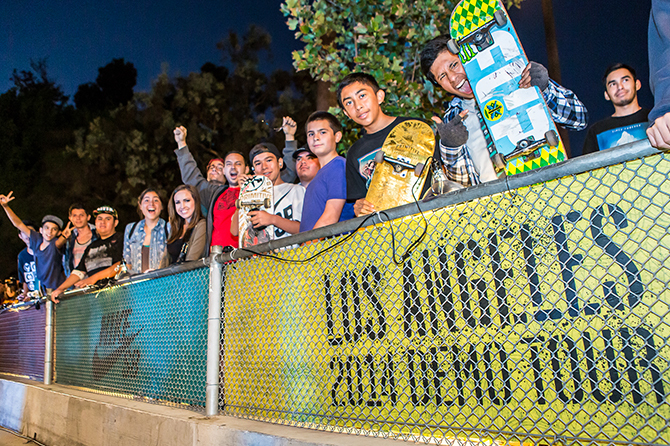 At the finale, Mariachi El Bronx blasted music into the night air as the Nike SB team ripped up Lincoln Park skatepark completely surrounded by local street art influenced wheatpasted branding. 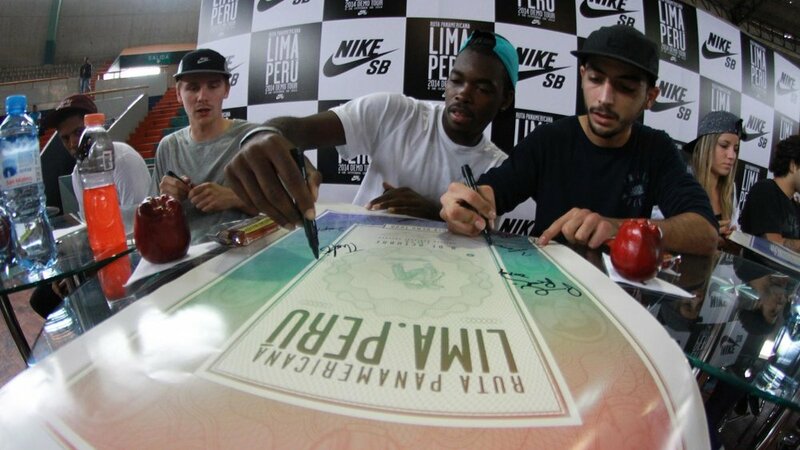 An exclusive set of ‘currency’ flyers were created for each Nike SB team member to sign and give out to fans. Photo opportunities showcased Nike Flash reflective technology to generate buzz and interest.